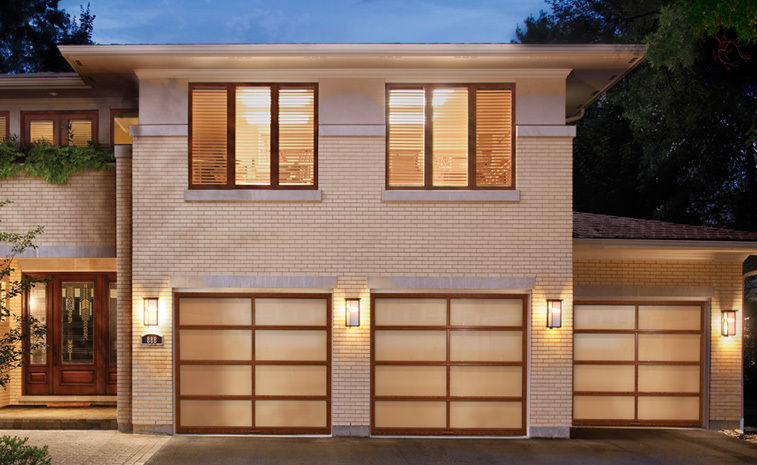 For many businesses, the garage door is one of the most used entryways to the property, safely and effectively facilitating deliveries and other daily tasks. While your commercial garage door reliably and quietly operates in the background of your day-to-day operations, many property owners and managers make the mistake of inspecting their commercial garage door only when something breaks, entering a loop of costly, reoccurring and inconvenient repairs that delay productivity. At AE Door & Window, we offer a wide range of commercial garage door services and products intended to prolong the lifespan and quality of your door — ensuring safe, dependable and smooth daily operations. Once you’ve selected a new, quality Clopay garage door, our team will work quickly, safely and efficiently to install it. During your garage door installation, they’ll remove the existing door, prepare the opening by installing new framed wood joints, prep and install the door sections, attach the c-channel, add the lift handle and lock, install the garage door track and springs and finally, make any necessary adjustments. Keep your new commercial garage door in proper working condition and avoid safety hazards and time-consuming, costly repairs by hiring a professional to perform regular maintenance at least once every year — or more often depending on your property location, environmental conditions and the amount of use your door sees. With routine maintenance, you can extend the lifespan of your commercial door, improve safety measures and save on frequent repair costs. Reliable Commercial Garage Door Services For Cincinnati & Beyond! When you need reliable, efficient and trustworthy commercial garage door installation, repair and maintenance, call the professionals at AE Door & Window. We’re a family-owned company with over 30 years of experience serving business owners throughout Cincinnati and Eastgate, OH, as well as Northern Kentucky. We’re dedicated to offering high-quality commercial garage door products and services for all of our customers and establishing long-term and personal relationships. Schedule the dependable and friendly commercial garage door services available at AE Door & Window today by completing our online contact form or calling us at 513-472-1984. Or, you can request a free service estimate by filling out our online form.